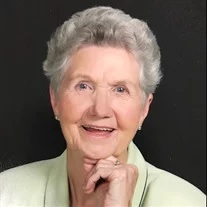 Kathryn Christine Teems Shields, 88, of LaFayette, went home to be with her Lord and Savior on Saturday, March 16, 2019. She was born in Summerville to the late George & Louise Teems, and grew up in Subligna, Ga. before moving back to the LaFayette area many years ago. She was a dedicated member of Second Baptist Church in LaFayette, where she was active in the church choir, previously taught first grade Sunday school classes and was involved with the Homebound Ministry for more than a decade. She was a loving and devoted sister, wife, mother, grandmother, great-grandmother and great-great grandmother, and will be truly missed by all who knew her. She was also preceded in death by her husband, Frank Shields; daughter, Debbie Shields Tudor; son-in-law, Larry “Butch” Tudor; brother, Hubert Teems; and granddaughter, Julianna Reed. Survivors include her children and spouses, Ronnie (Sandra) Shields, Donnie (Sandra) Shields, all of LaFayette, and Brent (Darlene) Shields, of Rock Spring; brother & sister-in-law, Jerel (Elaine) Teems, of South Carolina; sister & brother-in-law, Janet (Rev. George) Pinion, of Rossville; sister-in-law, Hazel Teems; nine grandchildren, Wendy Shields, Josh (Dana) Shields, Amy (Brad) Barrett, Jonathan (Kaylee) Shields, Ginger (Charles “Bo”) Payton, Chasity (Brian) Archer, Shane (Shana) Shields, Erica (Jason) Reed and Leigh (Aaron) Walls; 17 great-grandchildren; two great-great grandchildren; and numerous extended family & friends. Visitation with family and friends will be held on Sunday, March 17 at Wilson Funeral Homes in LaFayette from 3-8 p.m. Funeral services will be held at 11 a.m. on Monday, March 18 in the Second Baptist Church, with Rev. Mike Peterson and Rev. George Pinion officiating. Burial will follow in the LaFayette Memory Gardens. In lieu of flowers, memorial contributions may be made to Hospice of Chattanooga, 4411 Oakwood Dr., Chattanooga, Tn. 37416 or Gideons, PO Box 140800, Nashville, Tn., 37214-0800. Arrangements by Wilson Funeral Homes, LaFayette Chapel, LaFayette.